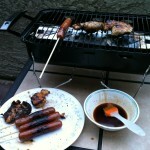 Nice to kick back since the weather is just right and cook a few hot dogs and some chicken for lunch. 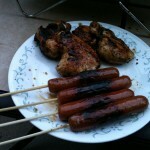 I didn’t think I would love a gas grill all that much but I’m getting used to it. This little thing my wife bought at Walmart is a bit on the awesome side!